You’re in luck… because I’m going to show you a simple, 5 step proven process that is guaranteed to help you easily and naturally clear your skin in just 16 days or less. And uncovers the little known secret to unlocking your skin’s natural ability to protect and heal itself, immediately. 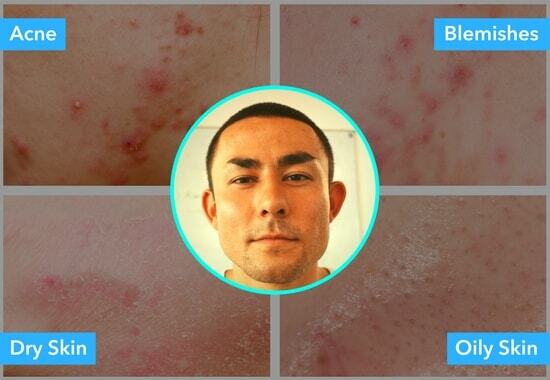 See, since I was 12 years old, I struggled with acne, blemishes, dry & oily skin problems. 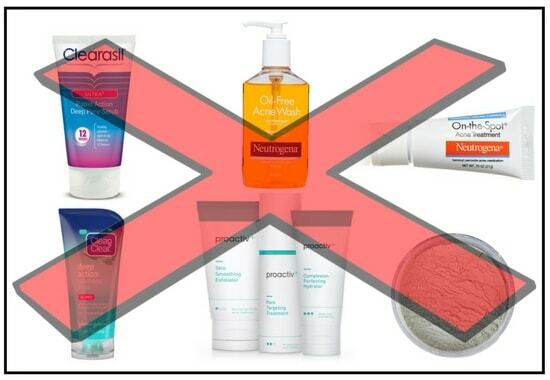 I tried everything - popular consumer brands such as Neutrogena® and Proactiv®, Dermatologist prescribed creams and pills - you name it, I tried it. None of these so-called solution worked. They would either dry my skin, clog my pores or cause more breakouts. In some cases, it was necessary to use many products at one time. Finally, in the summer of 2014, after a decade of trying and failing, I stumbled upon the reason why my skin was the way it was. 👉 Skin is naturally acidic. See, when we use harsh chemicals and ingredients found in products like soaps and cleansers, the skin’s natural acidity is disrupted. As well as balance your skin’s oil and moisture levels. In other words, now that defenses are broken down your skin is left more vulnerable and exposed to acne, dry & oily skin issues. 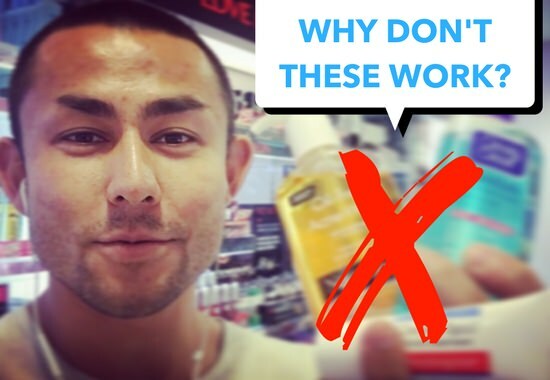 When you use these damaging products continuously, you not only create more skin problems but the illusion that you “need” more products (like using moisturizers for "dry skin" issues). 💡 Stop using products with harsh chemicals and ingredients. Doing this will immediately prevent future skin problems from occurring. So what about your existing skin problems? If you focus on restoring the skin's defenses, you can stop using products that appear to be ineffective because they are only designed to treat symptoms instead of solving for the root cause: pH imbalance. A lesser known natural solution for achieving this result is to use Organic Apple Cider Vinegar. OACV (Organic Apple Cider Vinegar for short) is unlike any other natural ingredient that will help treat acne, blemishes, dry and oily skin problems. 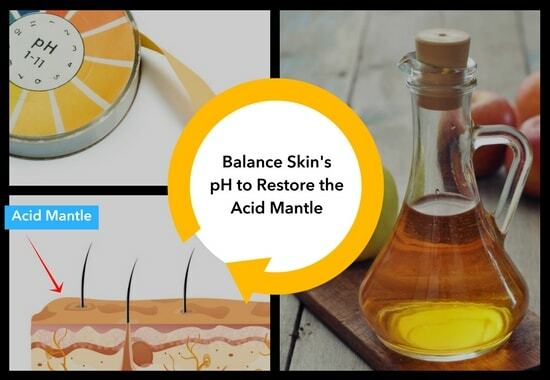 It will not only restore the acid mantle and the skin’s natural acidity but also provides a plethora of benefits that help expedite the skin’s natural healing process. OACV helps kill acne-causing bacteria, gently exfoliates dead skin cells and removes excess oil from the skin. Once used, your skin is now empowered to protect and heal itself naturally, the way it is biologically designed to. As a vinegar, OACV can have a raw, pungeant smell depending upon your nose palate… but it’s well worth the trade-off if you are desperate for something that is scientifically proven to work. 💡 So, the next step the to developing clear and healthy skin is using Organic Apple Cider Vinegar to balance your skin's pH levels, restoring the skin's natural acidity and defense system, the acid mantle. You’ll want to use the organic, unfiltered and unpasteurized version of apple cider vinegar and mix it with water before applying it topically to your skin to receive these benefits. 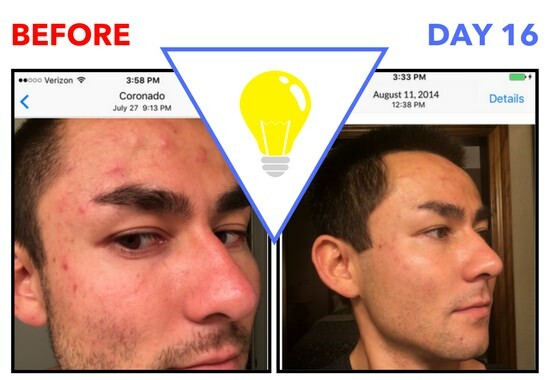 Due to page load speed, we had to separate the 5 Easy Steps to Clear Skin Naturally in 16 Days into 2 parts. Click the button above or below that so you can continue reading the last 3 Steps to Naturally Clear Skin in 16 Days. Our mission is to deliver life-enhancing products and actionable information to simplify your health & personal care. © 2017, Restoar LLC. All rights reserved.